UNIONS are "optimistic" that the government will shift its position and reverse €200m cuts for over 60,000 recent public service recruits. Arriving for talks with government officials today, senior union negotiator Shay Cody said they had no assurances that it would give ground and grant pay rises in the next budget. "But the fact that we're talking gives grounds for some optimism that we'll make some progress," said Mr Cody, Joint General Secretary of Forsa. 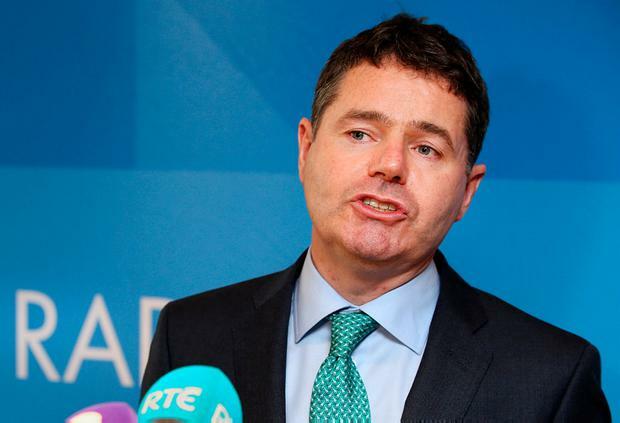 Finance Minister Paschal Donohoe's department has been urged to "stand firm" on demands for €200m pay rises for public service recruits even if it means damaging industrial unrest. Employer group ISME issued a strong statement warning the minister not to "repeat the mistakes of past" like benchmarking that led to big wage increases. Its comments came as unions are seeking a commitment for a reversal of cuts suffered by 60,000 recent entrants in the next budget at talks today. Discussions, which began last October, between unions and officials at Mr Donohoe's department on the issue will continue at the Department of Finance. A current pay deal rules out any increase in costs to give recruits equal pay beyond €887m already allocated for wage hikes until the end of 2020. However, union sources said extra funds could be ring-fenced to address it in the next budget once both they and the government agree to it. Chief Executive of ISME, Neil McDonnell, said the average public servant earns 40pc more than the average private sector worker. "Resisting unjustified public service pay demands is absolutely essential, even if it results in substantial, prolonged, and potentially damaging industrial unrest.," he said. "This would be a price worth paying to avoid the mistakes of the recent past." He said demands for greater public service pay, even if represented as ending inequality, are unjustified and totally at odds with economic and budgetary prudence. He said the country must not repeat the disaster of pay benchmarking in 2002. Mr McDonnell said if the "grass is greener" outside the public service, there are thousands of vacancies available for them to fill right now in the private sector. Almost one in five public servants have worked or are still working on lower pay than their colleagues'. Their pay was cut by 10pc across the board during the recession but the situation improved under a later deal. Their wages are now lower for the first two years before they join the same pay scale as their colleagues. This means it takes them two years longer to get to the top of their pay scale. A recent report revealed that each new entrant has suffered a loss of €3,301 as a result of the cuts. Department of Public Expenditure and Reform figures reveal the public service pay bill will hit an all-time high if Mr Donohoe's grants a full €200m reversal of the cuts. However, unions have said they do not expect to get it all back in one go. The gross pay bill will reach €17.4bn this year - €110m lower than its peak in 2009. But if the €200m cost of axing the two-tier system were to be added, the bill would soar to €17.6bn - €89m above the peak. The pay bill is already set to rise substantially over the next two years due to the cost of the current €889m 'stability' deal that means pay rises for state employees.